Heat oven to 350°F. Let dough stand at room temperature 10 minutes to soften. Line large cookie sheets with cooking parchment paper. In large bowl, break up cookie dough. Add cream cheese, flour and 2 teaspoons of the lemon peel; stir with spoon or hands until well blended. 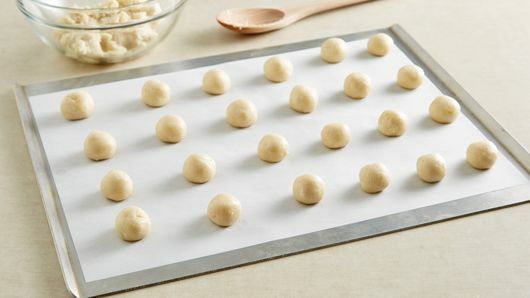 Shape dough into 36 (1-inch) balls. Place 2 inches apart on cookie sheets. Bake 12 to 14 minutes or until edges are golden brown. Cool 1 minute; remove from cookie sheets to cooling racks. Cool completely, about 20 minutes. Meanwhile, in medium bowl, stir powdered sugar and lemon juice until smooth. Frost cookies; sprinkle with remaining 1 teaspoon grated lemon peel. Store in airtight container. Omit frosting, and roll warm cookies in powdered sugar. Substitute grated lime peel for the lemon peel, and fresh lime juice for the lemon juice. There’s a reason these lemon cream cheese cookies have an average five-star rating! 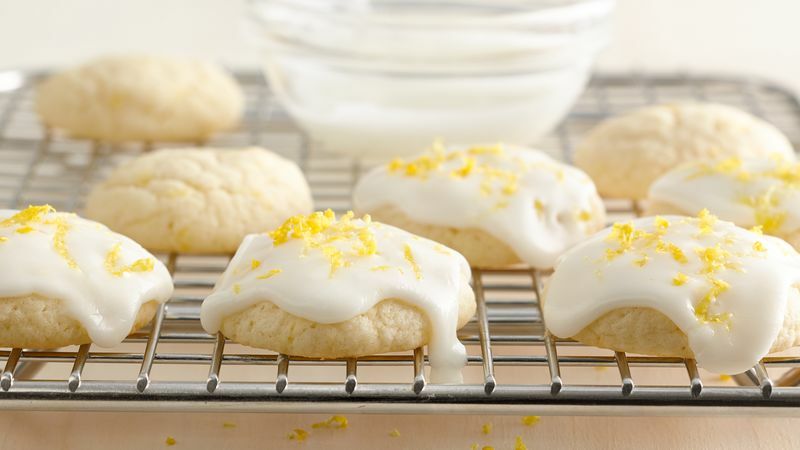 The addition of cream cheese and lemon peel to the sugar cookie dough makes these sweet treats soft in texture and super flavorful, just like your favorite bakery cookies. You’ll notice that this recipe calls for lemon juice and lemon peel. It’s best to use fresh lemons for both of these ingredients. Typically, one average-sized lemon from the store will yield two or three tablespoons of lemon juice, so you’ll likely only need to buy one lemon for this recipe. If the lemons at the grocery store are small, buy a few to ensure you have enough juice to make the glaze. (And trust us, this glaze is bursting with citrus flavor—you don’t want to skip it!) These cookies with their pretty presentation and crowd-pleasing taste are perfect for spring and summer gatherings, and this recipe makes 36 cookies, so you won’t have to double the recipe for a crowd. 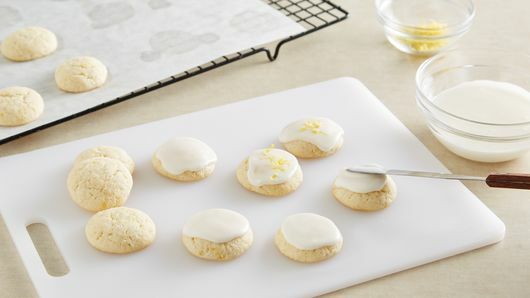 If you are a fan of these cookies, then you’ll love all of our other lemon cookies, bursting with citrus flavor. Haven’t baked cookies in a while and need to refresh on the basics? Read this article and you’ll be an expert baker in minutes.